As you may know, M.Gemi has a a penchant for selling shoes lightening fast—the made-in-Italy brand's newest ankle boots sold out in just two days. Now, we have a feeling M.Gemi's latest sneaker launch will be no exception. The brand has updated its Cerchio Sneakers (aka a best-selling style that racked up a 6000-person waiting list) in velvet for fall, and we can't wait to get our hands on them. 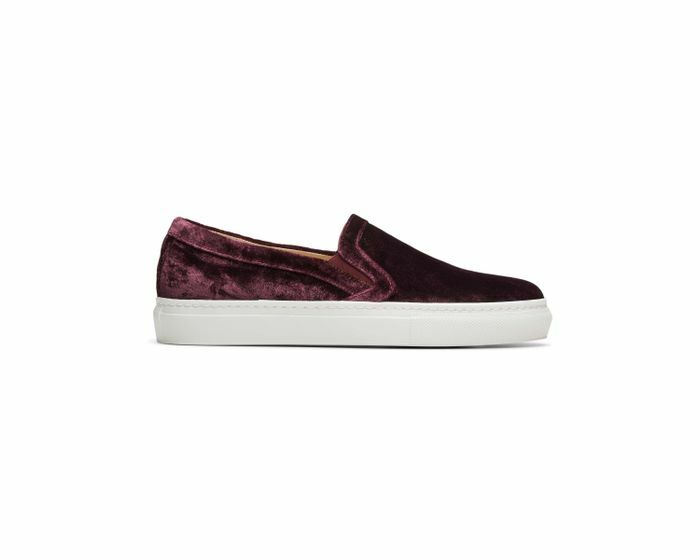 "Made in Monsummano—a small region in Tuscany—the slip-on sneaker is reimagined in lush, rich velvet and available in five jewel tone colors, while providing the same fit, comfort and versatile silhouette that has made the Cerchio a client favorite," the press release reads. The only hard part is deciding which pretty color to buy. Scroll down to shop M.Gemi's new Cerchio Sneakers in velvet. Next up, Emily Ratajkowski explains the easiest way to style boots right now.